Tubreaux Aviation Services has joined Avfuel’s branded FBO network, which offers operators that fly in and fuel up the benefits of Avfuel programs including Avfuel Contract Fuel and Avtrip rewards. Tubreaux Aviation Services is the sole FBO at Shreveport Downtown Airport (KDTN), Louisiana, providing operators all the full-service benefits of metro airports with the convenience of a general aviation airport. Benefits include heightened privacy, less congestion, and a location just two minutes from downtown Shreveport and five minutes from the area’s six resorts and casinos. Nicholas Delbasty, operations manager at Tubreaux Aviation Services, said, “Our commitment to the general aviation community is our biggest differentiator. That commitment translates to the superb service our customers expect from a premier private aviation facility. 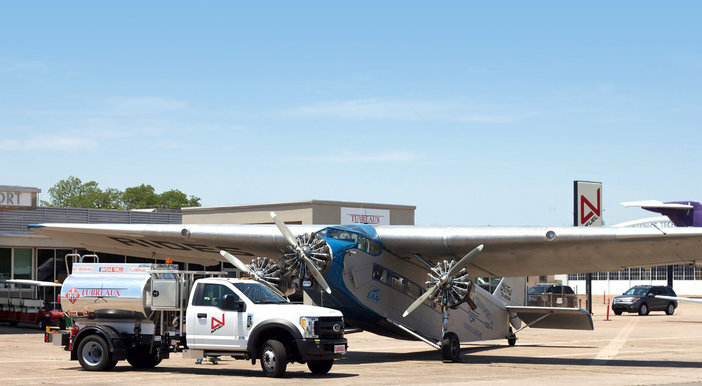 Located on the west main ramp, Tubreaux Aviation Services provides full-service Jet A+ and 100LL Avgas; self-service pumps 24/7; 24-hour call-out service; GPU hookups; lav service; an AC cart; towing; and overnight hangar rentals. Its FBO facility boasts a full lounge, pilot computers, refreshments, a pilot sleeping room, catering, and crew and rental cars. Tubreaux Aviation Services also provides flight training, aircraft management, aircraft maintenance and even rental aircraft. Avtrip Members can earn eight points per gallon at the new Avfuel-branded FBO through November 30.